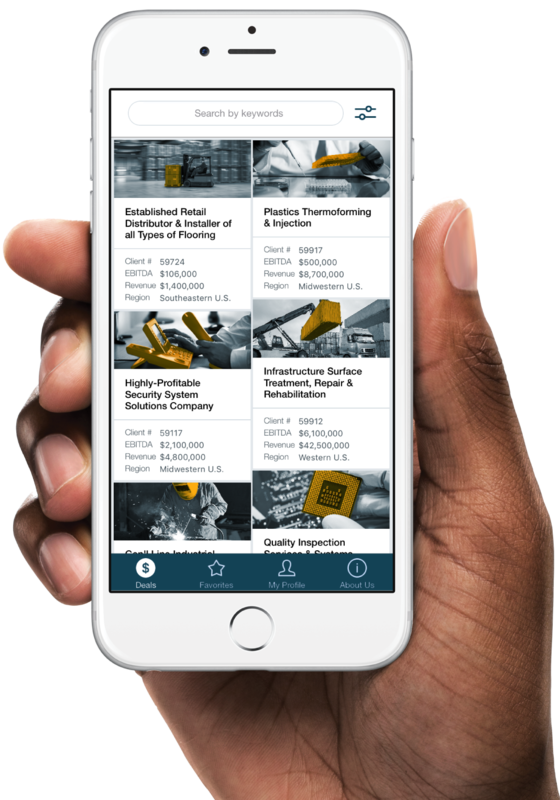 For the first time in M&A history, our buyers can now search our entire inventory whenever they want and wherever they are with our innovative new app, DealForce. Accessed for free via the App Store, DealForce provides the top-level information of every business we represent and lets you request a copy of the full Offering Memorandum without leaving the app. The following is a sample of current deals by Generational Group. When you create an account with DealForce, you will gain instant access to our extensive portfolio of middle market businesses. Register today to view all the best investment opportunities we have on the market right now and take the first step toward achieving your acquisition goals.